My parents and sister flew up from Reno for the weekend to meet our baby son Julian. 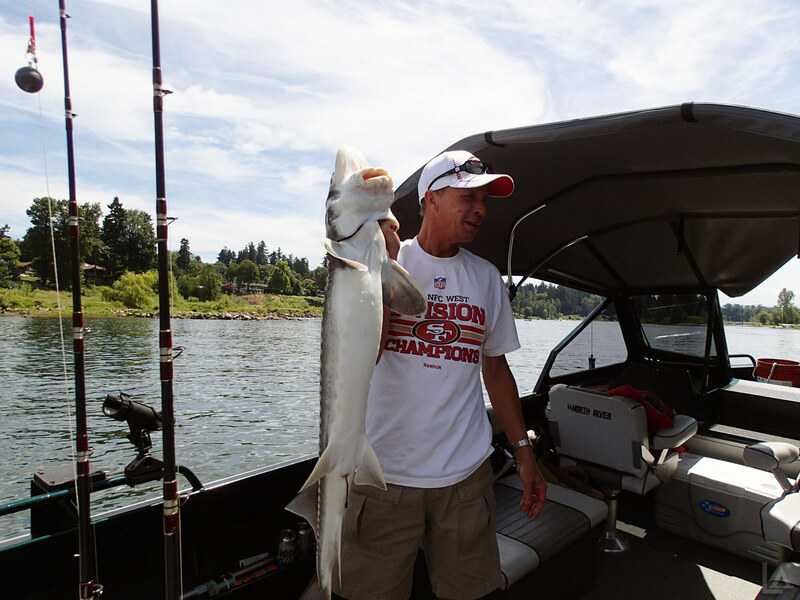 My Step Mom, Katie, and Sister had a baby shower to attend on Saturday, so my friend John took my Dad and I out catch-and-release sturgeon fishing on the Willamette River for the day. We launched his North River boat at Meldrum Bar in Gladstone and headed downstream in search of a deep pocket with enough flow to anchor and fish. We spent Memorial Day weekend camping in our travel trailer at Rock Creek Reservoir near Wamic, Oregon. Katie and I were both fortunate enough to get Friday off, so we made it an extra long weekend and left Portland Thursday after work. Rock Creek Reservoir is a small, 100 acre lake (when full in the spring) located in Tygh Valley within the Mt Hood National Forest. 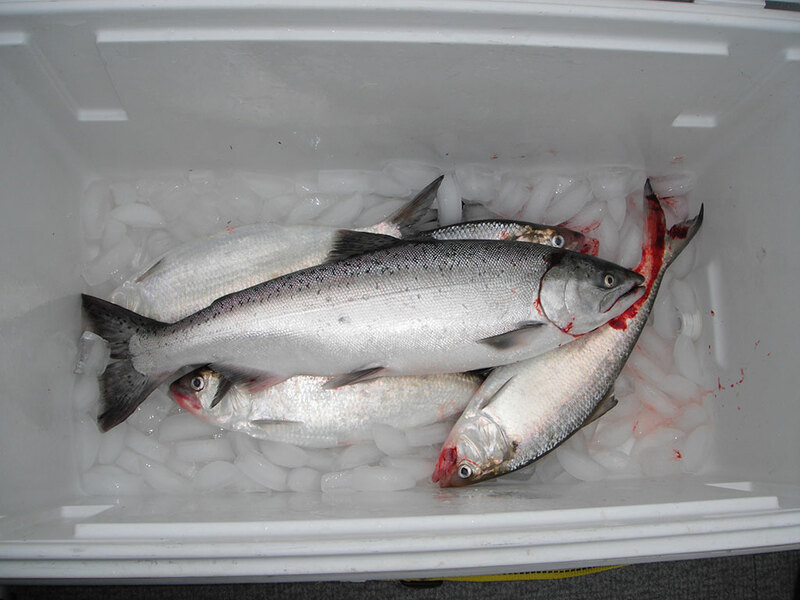 The lake is about 6 miles WSW of the town of Wamic and is stocked several times each Spring with rainbow trout. 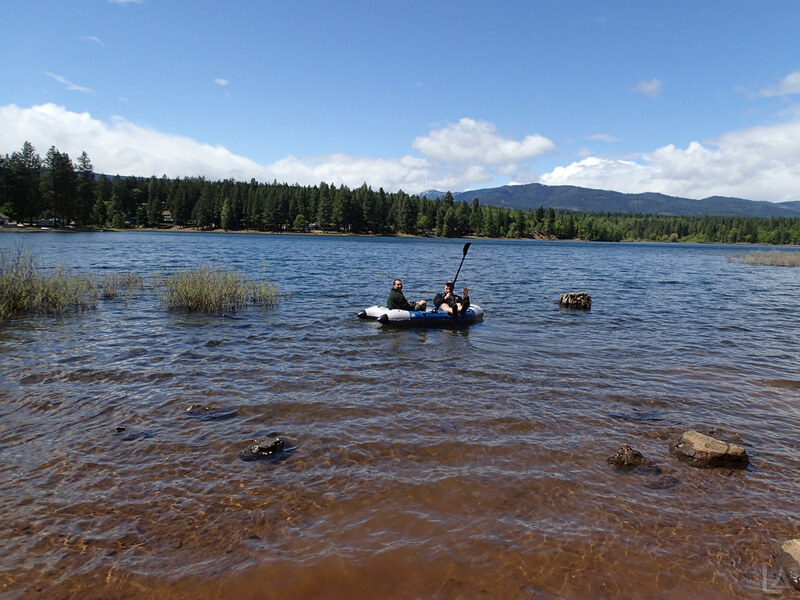 We towed our travel trailer on Saturday morning to Rock Creek Reservoir near Wamic, Oregon for an overnight camping and fishing trip. It just so happened to be the same campground we took our first trip in our trailer exactly one year ago. Rock Creek Reservoir is about 100 acres when full (in the spring) and is stocked several times in the Spring with rainbow trout. It shrinks down to two ponds by the end of summer. Rock Creek Reservoir is located in Tygh Valley within the Mount Hood National Forest. It's about 6 miles WSW of the town of Wamic. On Wednesday Jason and I planned another longer hike from our base camp at LaPine State Park, this time to Paulina Lake via the Peter Skene Ogden Tail #3956 in the Newberry National Volcanic Monument. 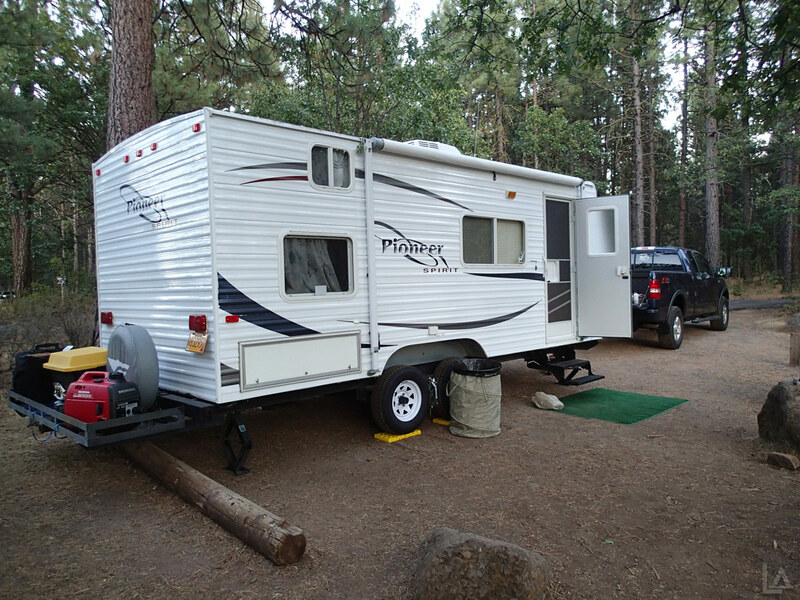 The trail starts at Ogden Group Camp off Paulina Lake Road/Road 21, just North of the city of LaPine, Oregon. Having hiked this trail from Ogden Group Camp to McKay Crossing campground many times, we decided to start Wednesday’s journey at our usual end point. 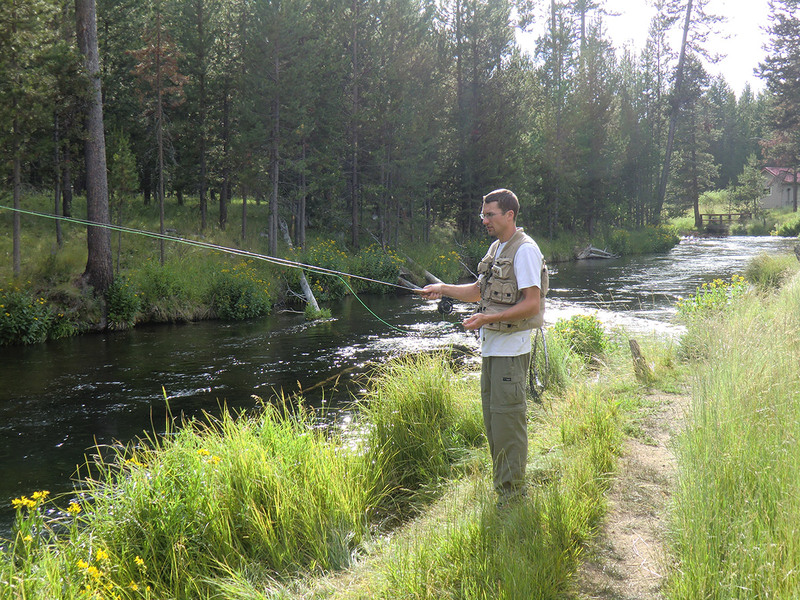 While camping at LaPine State Park I was able to fly fish nearby Fall River a few times. 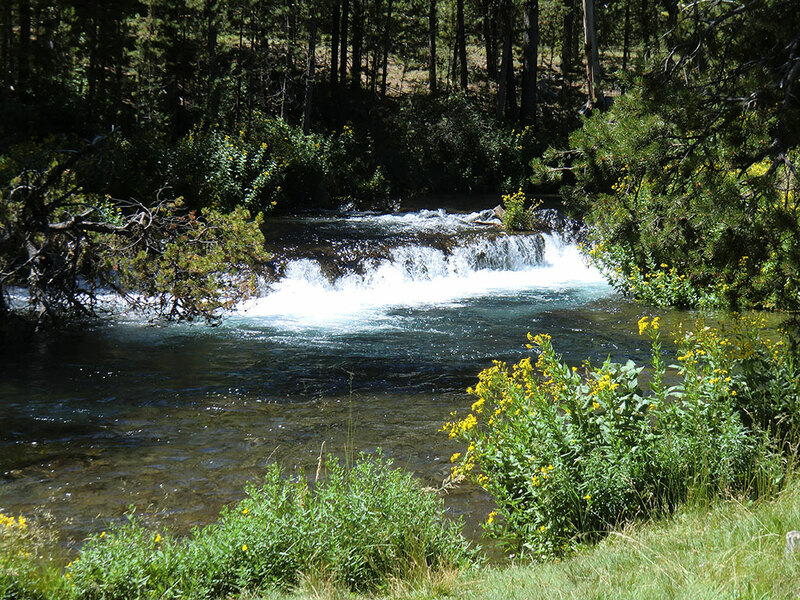 It is a small cold spring fed river that flows into the Deschutes River. It is home to rainbow, brown, and brook trout. Fishing at Fall River is restricted to artificial barbless flies. Martin Lake, located in the Southern end of the Mt Jefferson Wilderness at the base of Three Fingered Jack, was our planned backpacking destination over Memorial Day weekend this year. Unfortunately due to lots of snow and poor weather, we never made it. 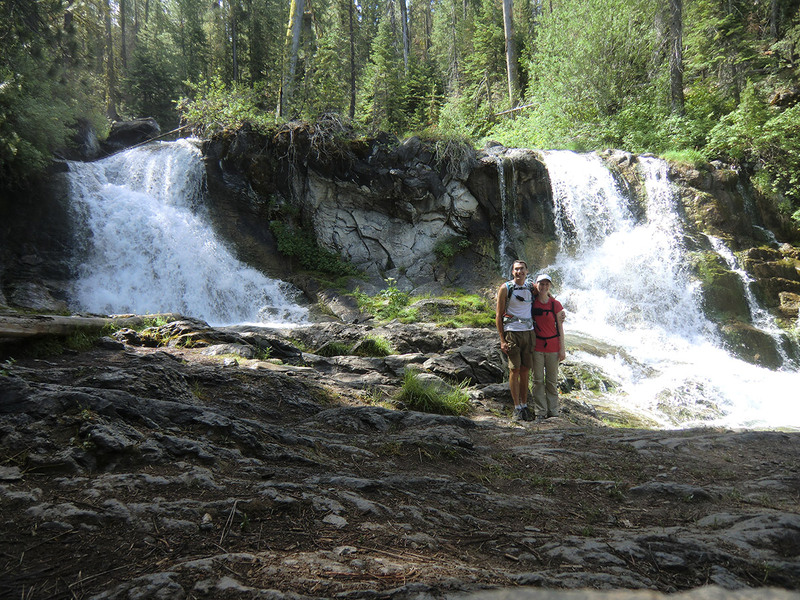 Now that the weather has warmed up and the snow melted, Katie and I decided to backpack to Martin Lake this weekend. My friend John took me out shad fishing on his boat Sunday after I helped him tear out his deck the day before. We left around 7 AM along with one of John's friends from work, Gary. 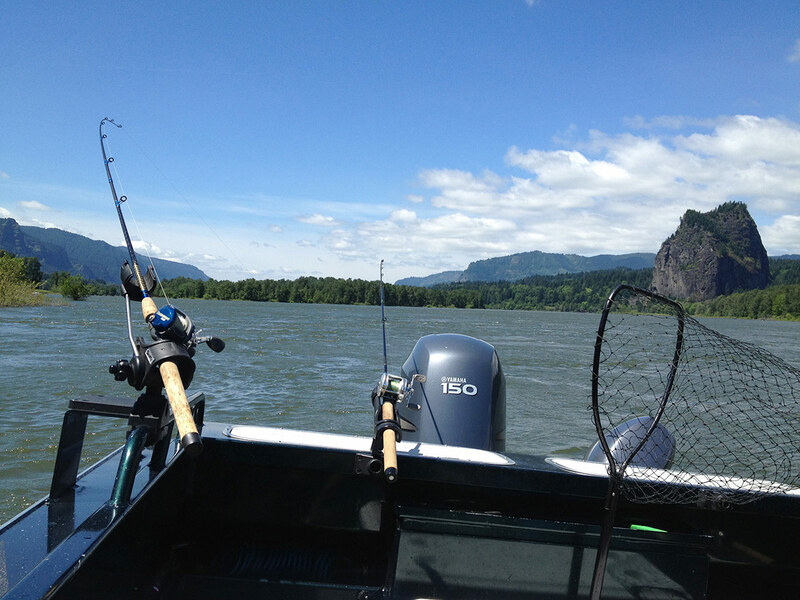 We headed toward Bonneville Dam and launched his North River boat from Hamilton Island boat ramp on the Washington side of the Columbia River. The current was ripping and it was fairly windy, but mostly sunny out. This was my first time out fishing since selling my boat and it was really nice to finally get back on the water even if just for shad. Instead of climbing Mount Shuksan in Northern Washington, Matt and I went backpacking in the Eagle Cap Wilderness to Ice Lake. 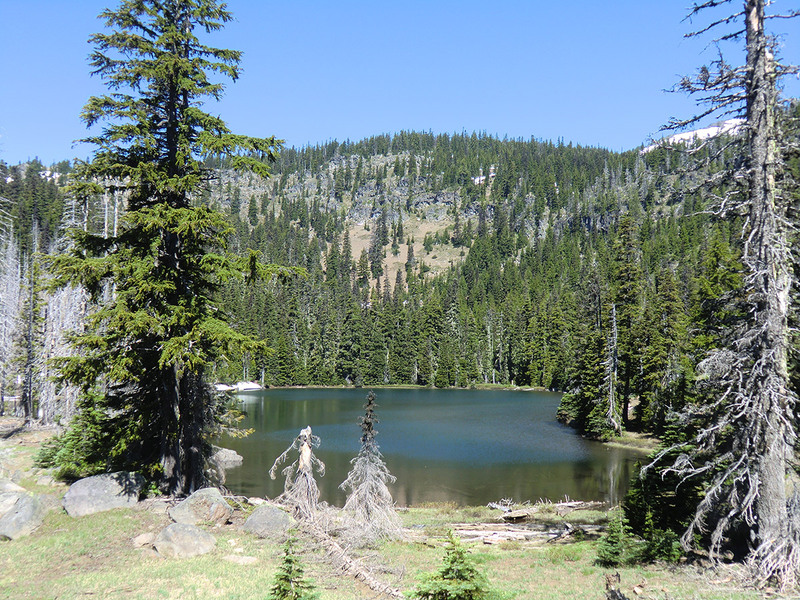 Ice Lake is located in the North Central part of the Wallowa Mountains in Eastern Oregon. 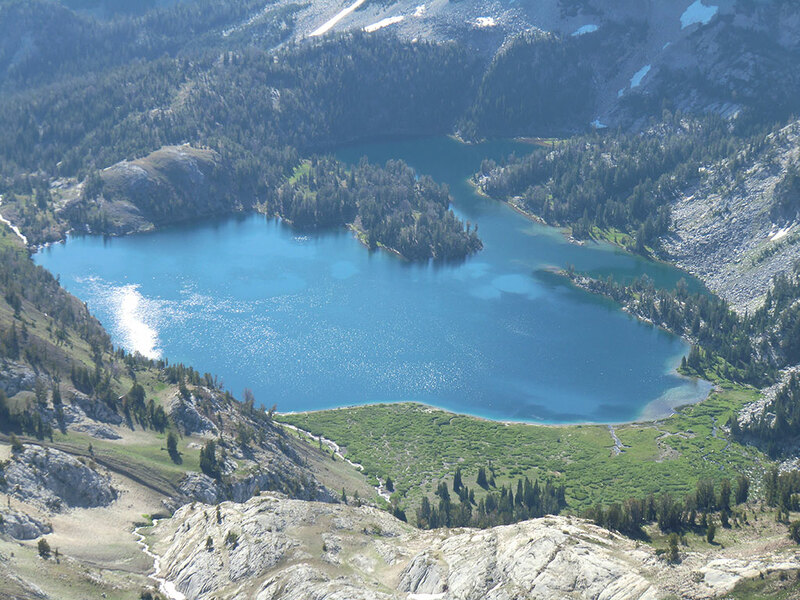 It is a productive 46 acre Brook Trout lake sitting at approximately 7,849 feet in elevation with a depth over 190 feet (deepest lake in the Wallowas). On our way home from camping at Cultus Lake Sunday, we hit Fall River for an hour or two of fly fishing near the fish hatchery. Fall River has been a favorite of mine since my first trip there about a decade ago. It is a fly fishing-only stream that flows about eleven miles into the Deschutes River. Fall River is spring fed (bubbles right out of the ground near the guard station) and as a result is very clear. You can often spot trout hiding near fallen trees. It is stocked with legal-sized trout and has healthy populations of rainbow, brown, and brook trout. On our way to Yosemite National Park, Katie and I camped Sunday night at Yosemite Lakes Resort, so that I could fly fish the South Fork Tuolumne River for trout. This area is only about 5 miles from the West gate entrance (Big Oak Flat) to Yosemite. 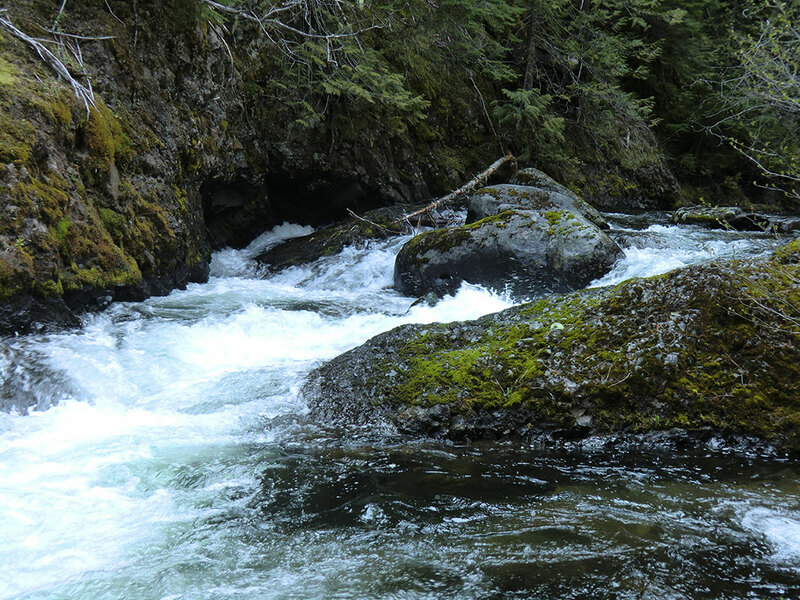 This river supports a population of wild brown and rainbow trout in addition to thousands of rainbows stocked annually. Despite a forecasted that included rain showers, we decided to go backpacking with our friends in the Badger Creek Wilderness over Memorial Day weekend. We had originally planned on a three day/two-night trip, but the weather Saturday was not favorable. We instead opted to leave Sunday morning for an overnight backpacking trip. Badger Creek trail #479 begins near Bonney Crossing Campground off FS road 2710 (about 2.5 miles North of Rock Creek Reservoir as the crow flies). The trail closely follows Badger Creek for approximately 11 miles to Badger Lake and then continues another 1.5 miles around the lake and up to FS road 4860. After a fun day climbing on Saturday, I dedicated much of Sunday to fishing for shad (great crab bait) on the Willamette River with a couple of friends. We took my boat, launching from Meldrum Bar around 6:30 AM. 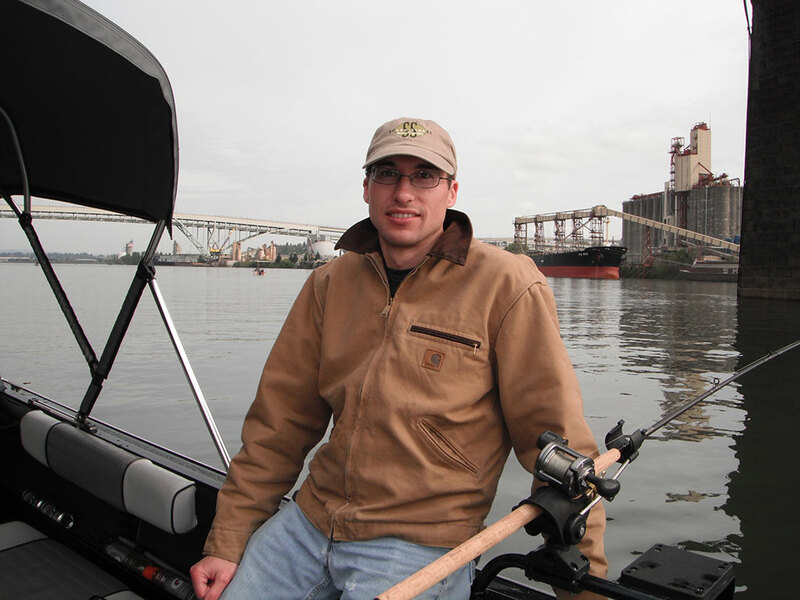 The weather was calm with mostly cloudy skies and a temperature in the low 50's F. The river was extremely high, making launching the boat more challenging than usual. The upper part of the ramp was covered in water, making the dock inaccessible. My buddy John went out salmon fishing a couple times last week and caught fish, so we decided to brave the crowds and fish on Saturday morning. We launched at the Swan Island ramp on the Willamette River near downtown Portland. We were at the ramp just after 5 AM (running on only an hour or two of sleep) and there were already a couple dozen trailers in the parking lot. The three of us (John, Andy, and I) set off in John's North River boat hoping for a successful day of Spring Chinook fishing. 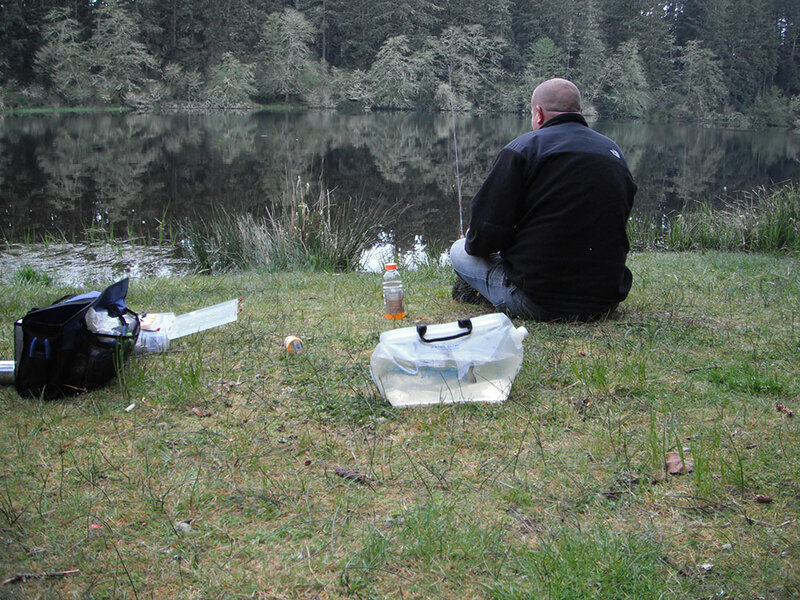 The weather was overcast and calm with a temperature in the upper 40's F.
While camping at Fort Stevens Sate Park, we fished nearby Coffenbury Lake a couple times for trout. This 50 acre lake is stocked with legal size trout and a few excess steelhead. There is a boat ramp and two picnic facilities with fishing docks. Even though this is a small lake, motorized boats are permitted with a 10 mph speed limit at all times. Even though I had my boat, we decided to fish from shore. We were camped in the O loop, so our sites were very close to the lake. 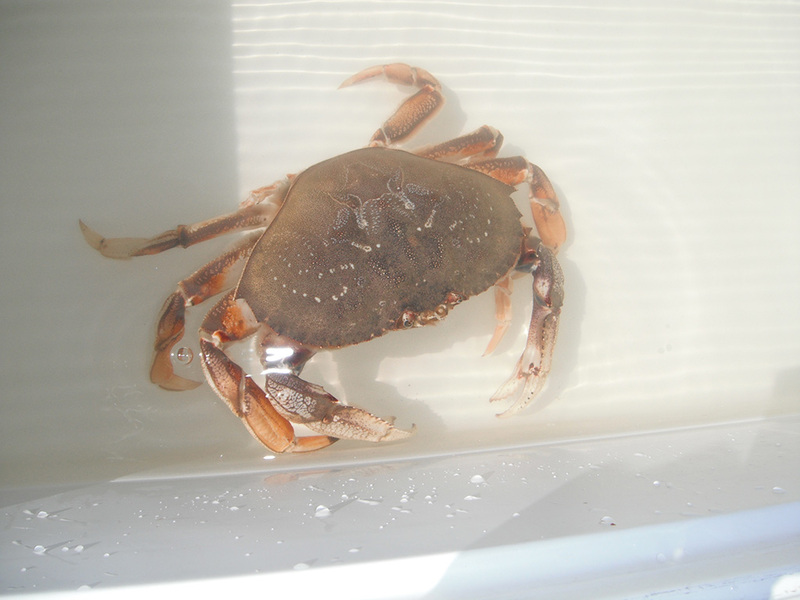 After getting settled in our camping spots at Fort Stevens State Park (near Astoria, Oregon) on Friday morning, we headed across the Columbia River into Washington to go crabbing. We launched my 16' Klamath Alaskan aluminum boat at the Port of Chinook around 10:30 AM. High tide was predicted at around 11:45 AM, so we only planned to be out a couple hours during the slack tide. Katie didn't have a license, so we only took six pots with us (the regulations are three pots per license holder).